The studio version of Metallica's Death Magnetic cut Cyanide is now available to stream online. First aired at Ozzfest on 9 August, several days later we revealed that a soundboard-quality live recording of the track had been leaked. 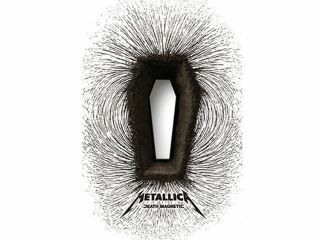 You can stream the track, which is the sixth on Death Magnetic, either here on Metallica.com or here on YouTube. To our ears, the audio quality is better on YouTube. Although our roving reporter at the Death Magnetic album playback felt that this was one of the weaker tracks on the record, to our ears it still represents a huge improvement on anything the band have done since 1991's eponymous 'Black Album'. Roll on Friday 12 September when Death Magnetic is released worldwide via both conventional retail channels and the Guitar Hero III: Legends Of Rock video game.